Our entire inventory is priced according to the live market. We use sophisticated software to compare our cars to similar vehicles for sale, and set prices which offer you unmatched value. Prices are updated continuously as market conditions change. We also use Market Value Pricing to evaluate your trade, so you will always receive top value for your vehicle. Our Certified Pre-Owned inventory gives you access to our best pre-owned vehicles – all hand-selected for their top quality. Every certified car is well-maintained, low-mileage, and of a recent model year. All of our Certified Pre-Owned vehicles are inspected by factory-trained technicians, and are covered by warranty. Our pre-owned executive demos look, feel, and drive like new. They are low mileage, and have been carefully driven and maintained by dealership staff. Enjoy great savings on these demo vehicles, along with full manufacturer warranties, and new vehicle financing and leasing rates. Drive Change. Our community benefits from every sale. St. Catharines Volkswagen is committed to making in a positive difference in communities throughout the Niagara region. We organize fundraisers year-round and regularly donate to important local charities. We are particularly known for our support of sports teams, art programs, and community outreach organizations. 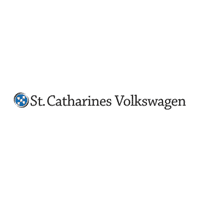 We are driven to support our community at St. Catharines Volkswagen! St. Catharines Volkswagen	43.1511875, -79.2148464.